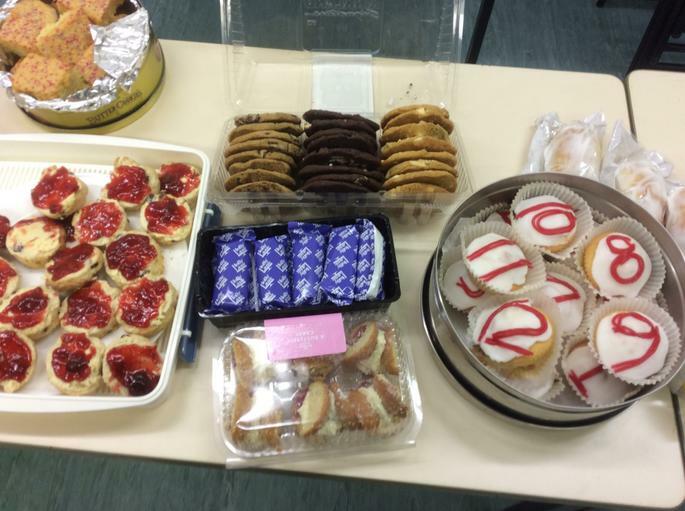 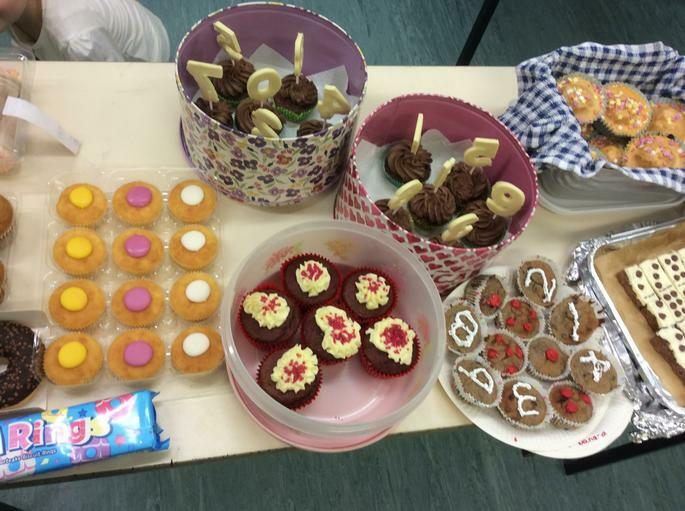 What a success this year was - we raised a huge £189.05 for the NSPCC, thank you to everyone for their kind donations of cakes and joining in the 'dress up for digits' and the family quiz too. 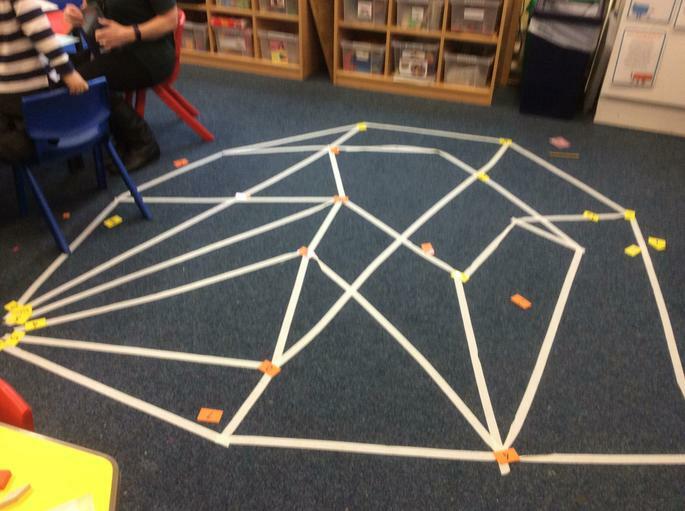 The teachers were very busy with story based maths all morning. 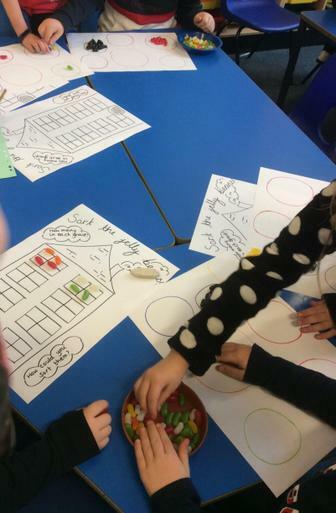 In Amethyst, the Reception children read Pezzetino by Leo Lionni, a story about a little piece looking for where he belonged. 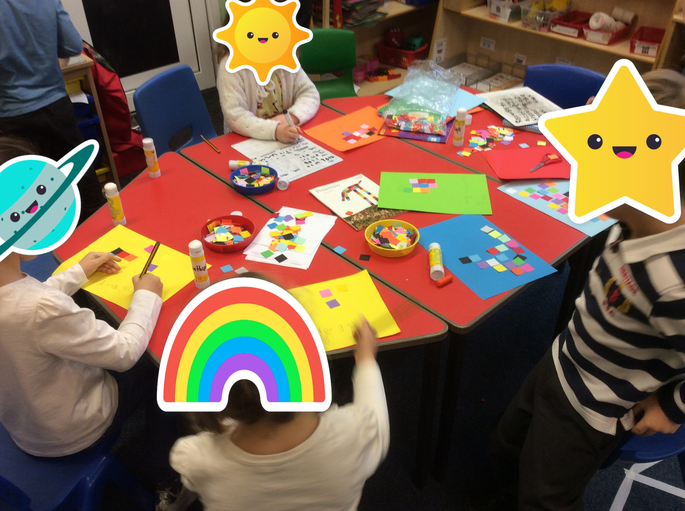 They created their own Pezzetino creatures and habitats then told their own version of the story. 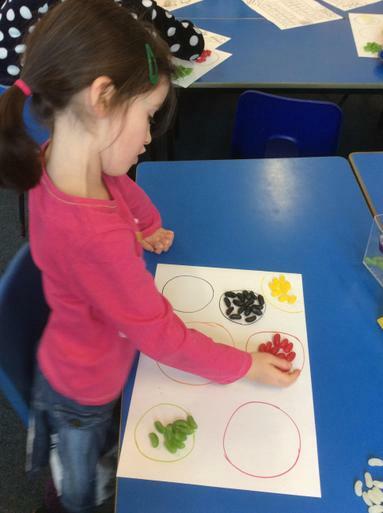 In Topaz the Year 1's and 2's read 'How many jelly beans? 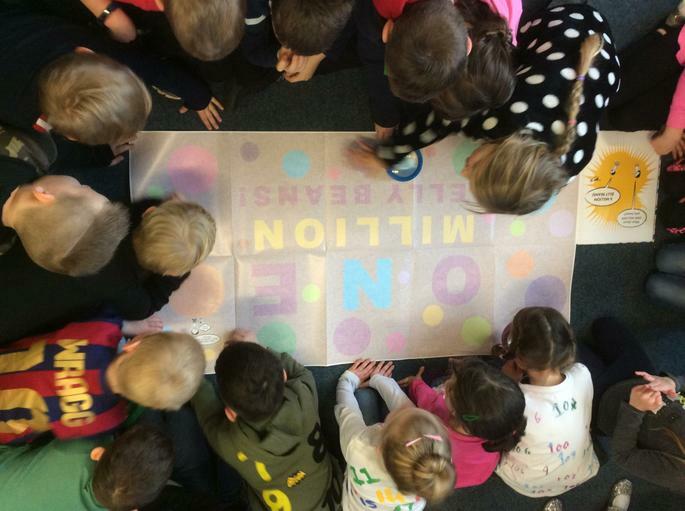 'by Andrea Menotti and were awed by a million jelly beans! 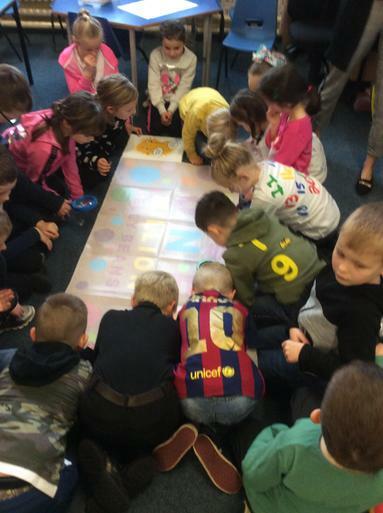 They investigated with the help of a 3kg bag of jelly beans, how many jelly beans would cover the table, how many of each colour they had and what was everyone's favourite? 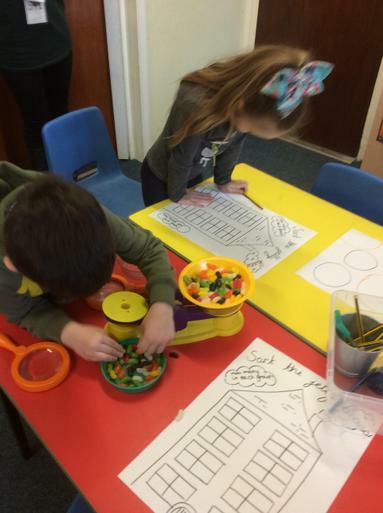 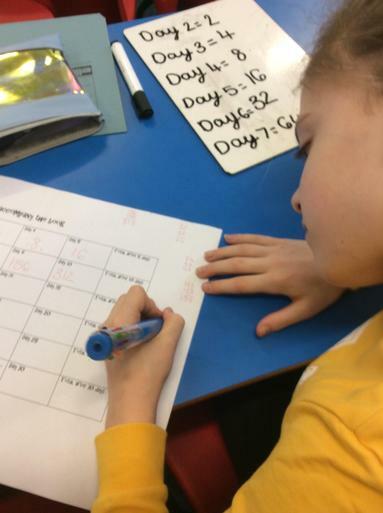 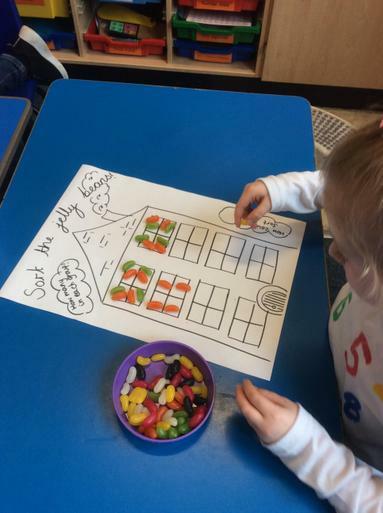 They began to make bar charts and tally charts and used scales to weigh and estimate how many jelly beans were in the jar (a prize Harriet took home with the nearest estimate of 101). 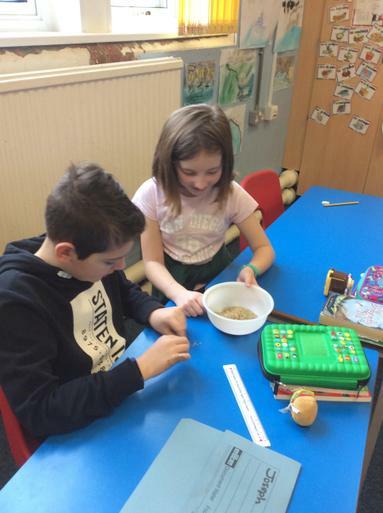 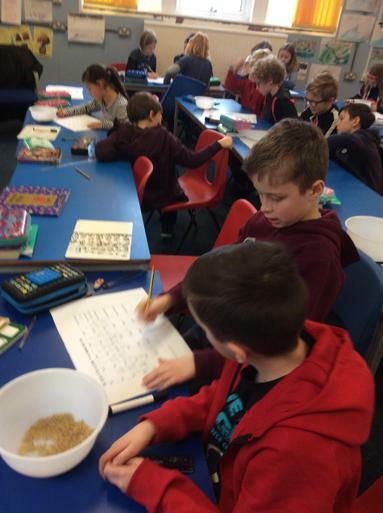 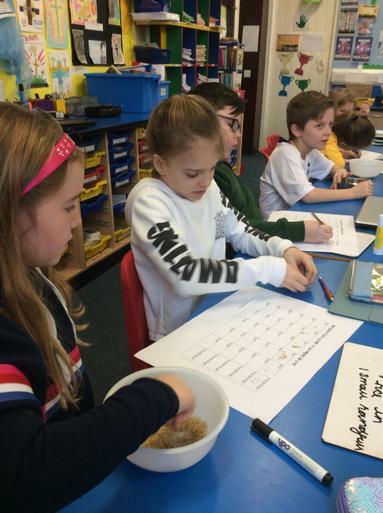 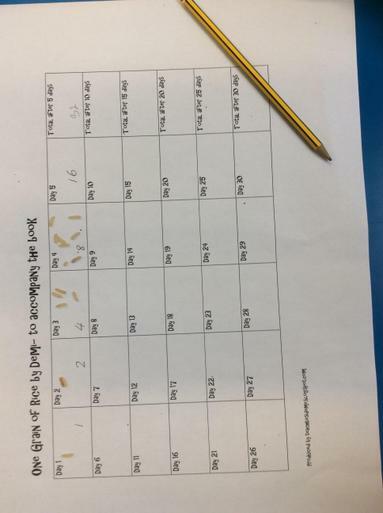 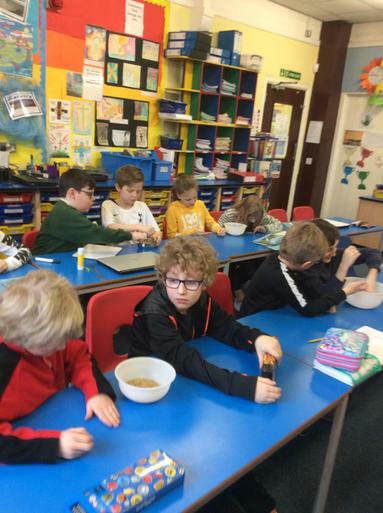 In Emerald and Sapphire the two classes were mixed, with one half exploring the story of 'A remainder of one' by Bonnie Mackain, finding out about remainders and arrays while the other half looked at 'One grain of rice' by Demi and explored the accumulative effect of one grain of rice. 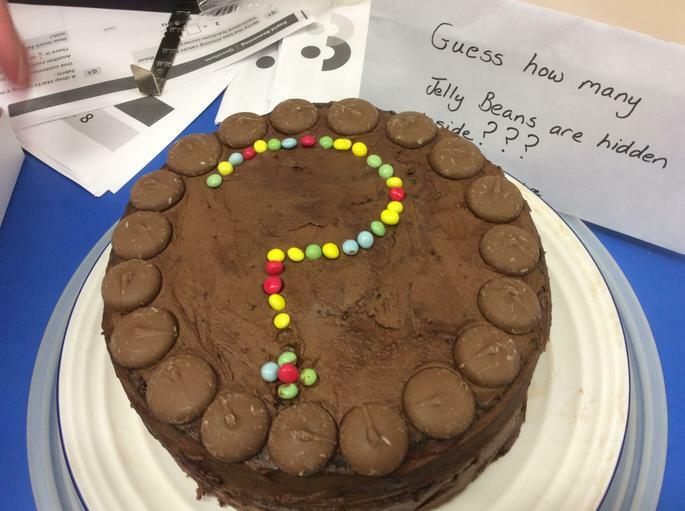 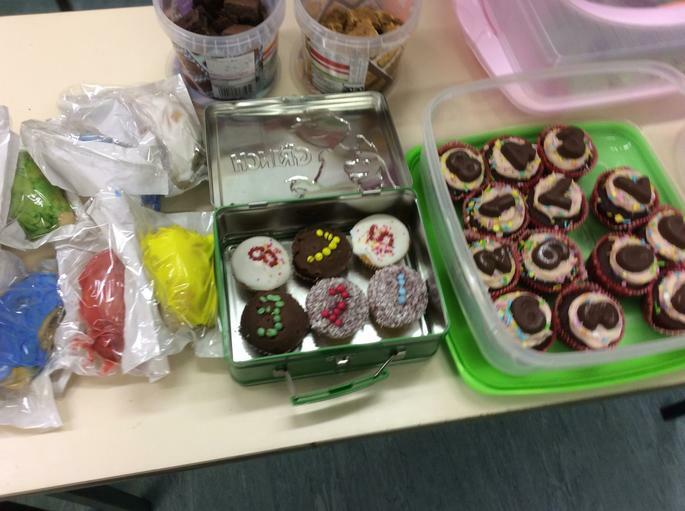 In the hall we had many beautiful cakes donated with a beautiful cake auctioned off to parents raising £11 alone and another mystery cake made by Rosa's parents which we ran a competition in school to guess how many jelly beans were hidden inside. 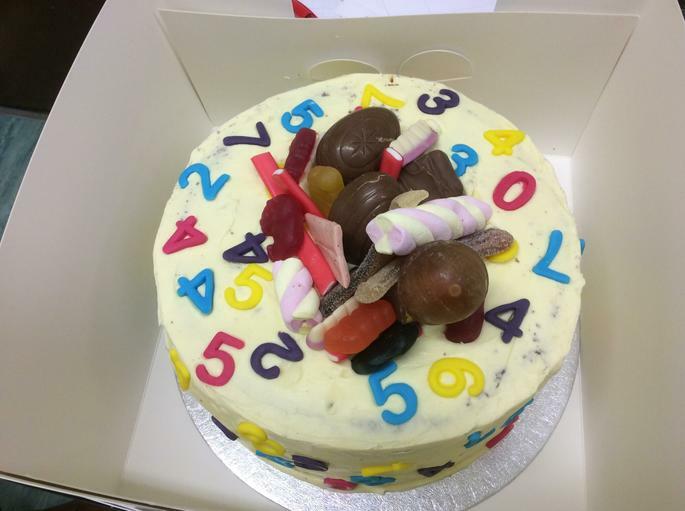 Strangely, the winning estimate was again 101 which won Emily B's family the cake! 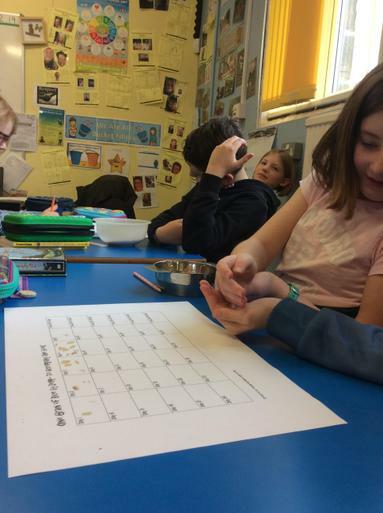 Finally the winning family quiz was picked at random by Miss Vick and it went to the Shore family, a lovely box of chocolates to enjoy. 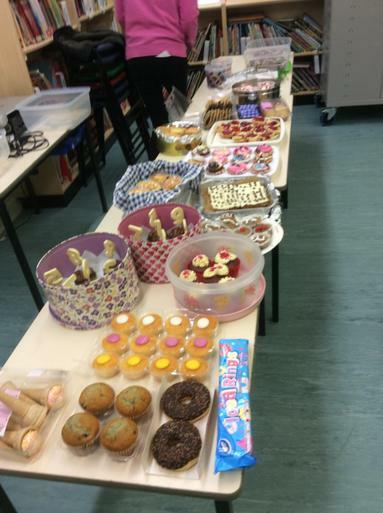 Thank you to everyone who helped make the day a success, we're very lucky at Barlow to have so many fabulous bakers who always rise to the occasion.